You are at:Home»Health and Fitness»Are Multi-Vitamins Over-Rated? Vitamins play a vital role in strengthening your immune system and guarding you against disease. Without vitamins, you fall ill without having the energy to make yourself better. The good news is, vitamins are abundant everywhere. You can get them from fruits, vegetables, grains, meat, and dairy. It seems straightforward to get vitamins and minerals, right? Wrong. Unfortunately, many of the foods you enjoy are not of the highest quality any longer. It is because these are commercially farmed, where quantity is deemed more important than quality. In a day, depending on your age, gender, height, and weight, you need specific nutritional requirements to sustain you and to keep you healthy. For you to know your Recommended Daily Allowance (RDA), it is best to consult your doctor or nutritionist for this one. And if you are doing physical labor or you are an athlete, then you will need more of these requirements. When you look at the list, it can be difficult to determine if you are getting your RDA unless you painstakingly measure your every meal. It is best to talk to your nutritionist so he/she can make a sample meal plan to give you a good baseline. The goal is for you to get a good grasp of how much you need for each food source, so you can be sure of getting your daily nutritional allowance. However, food quality is crucial as you will see below. If only all food available in the market were safe and sourced sustainably, then you wouldn’t have problems. However, because it is now way harder for people to determine which food sources are safe or not, the movement towards “organic foods” has now become popular. In developed countries, “organic” labels are taken seriously, and as a manufacturer, you can never place the word “organic” if it is not 100% this way. However, in many developing countries, there is no strict regulation on labeling. Therefore, manufacturers can fool people into believing that something is organic even if it is not. For example, in the Philippines, many local products are labeled as “organic” even if it is apparent that these are not. It is a sad truth, but it happens. The debate on whether multi-vitamins are overrated or not is a contestable one. The truth is, vitamins and minerals are present in food. However, it is the quality of food available to people that makes all the difference. Carrots are rich in beta-carotene, but they quickly lose their nutrients if they are farmed commercially, and when they are infused with pesticides and steroids to grow. Nuts are also rich in magnesium, zinc, niacin, and calcium; however, all these minerals are lost if they are not given the opportunity to mature naturally. When do you need to supplement? So, if you cannot be sure of your food sources, then there is no reason for you to doubt that you need multivitamin supplements to augment your deficiencies. You have to be careful though because too much of a “good” thing is also not advisable. If, however, you are 100% sure of how your food is grown, then you may not need to take supplements. If you grow your food, or you source your food from an organic farmer that you know of, then you may have more confidence in trusting what you eat. If you are an omnivore, meaning you eat meat, dairy, fruits, vegetables, and grains, then it is easier for you to manage your intake of vitamins and minerals. It is because some vitamins, such as Vitamin B-12, can only be sourced from meat and dairy products. So, if you are a vegetarian, you would need to take Vitamin B-12 in supplemental form. If you are also lactose intolerant and you cannot ingest dairy products, then you can consider taking calcium supplements. And if it is your monthly period, it is best to take iron supplements to help augment your reserves. If you have been looking into purchasing multivitamins, where do you start? There are so many options available, and it can be a pain to choose which one is right for you. Before you take in any supplement, remember to consult your doctor. Multivitamins should not be taken lightly for these are, in essence, medicines, too. You must never merely pop a pill whenever you feel like it. For example, you may have been wanting to lose weight. Since iodine is used to fight against a sluggish metabolism, it is a given to try iodine to speed up your metabolism, right? Wrong. In fact, supplementing with iodine if you have a healthy thyroid can lead you to have hypothyroidism. Hypothyroidism is an endocrine disorder wherein your thyroid glands fail to produce enough thyroid hormones for your body’s metabolism to function efficiently. Therefore, you do not only gain weight rapidly, but you also get lethargic, moody, constipated, and distraught with high glucose levels. This scenario points out to the hazards of taking supplements without a doctor’s guidance. Your naïve intention of wanting to feel and look better can turn out for the worst. Unfortunately, sometimes, the effects tend to be irreversible. Your healthy body may turn out to be out-of-sync with your natural balance, and it may take years for that balance to come into place. Since every person has a different nutritional need, the supplements that you take will also differ. No one-size-fits-all supplement can address all health issues of every person on the planet. That just wouldn’t work. For you to get a good head start with getting your supplements right, it is best to choose custom vitamin packs since these allow you to get vitamins and minerals that are the perfect fit for your needs. 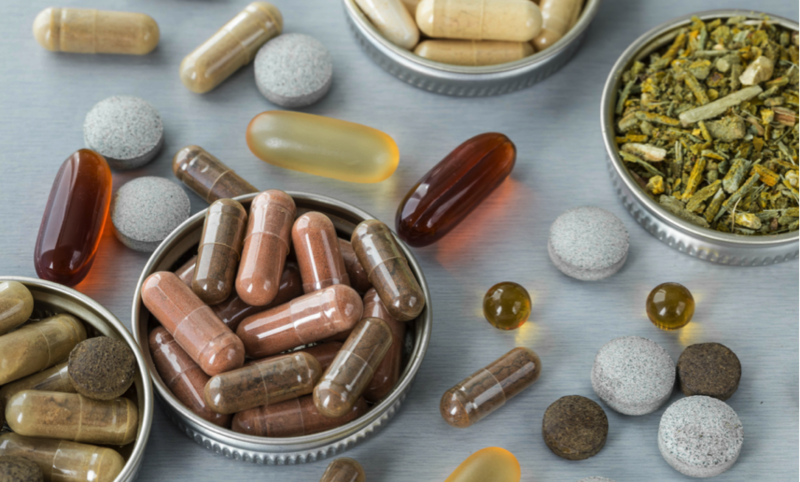 Depending on your current health conditions and your health goals, you must talk it over with your pharmacist or nutritionist on which supplements can best suit your lifestyle. For example, if you are a vegetarian, most likely you will have calcium, magnesium, Vitamin D, and Vitamin B12 supplements in your pack. It is because these vitamins and minerals are not abundantly found in plant sources. Therefore, to find your balance, you must augment the deficiencies through supplementation. If you are an athlete, it is most likely that you will get fish oil, calcium, magnesium, Vitamin B12, Vitamin C, and glutamine in your pack. It is because these help your body recover quickly from wear and tear, and allow your body to regain its strength during your rest period. It can also be difficult to source out these vitamins and minerals from food alone, especially if you need more than your prescribed daily allowance. As an athlete, you need to take extra care of your body, so you don’t fall into the pitfalls of injury, over training, and increased susceptibility to illness. So, to answer the question: “Are multivitamins overrated?” The answer is a resounding “No.” It is because it depends on a person’s lifestyle and health goals; and in this day where food sources tend to be questionable, it is best to resort to supplements to help augment your deficiencies. Just be sure that your supplements are sustainably and organically sourced, so you get the most of the upsides of these extra vitamins and minerals.